It’s January – Spread the Word of the Move Over Law! It’s Move Over January, so do your part and move over for emergency and service vehicles — not just because it is January, but it is the law in Florida. The Florida Department of Highway Safety and Motor Vehicles dedicated the month of January to raising awareness of the Move Over law, a law that is intended to keep you and emergency and service workers safe on the road. The Move Over Law was enacted in 2002, but many motorists in Florida aren’t aware of the law at all or don’t accurately know what it is. The Move Over law is quite simple, if there is a law enforcement vehicle, ambulance, fire truck, tow truck, utility vehicle or sanitation vehicle pulled over on the side of the road, highway or interstate, drivers are required to move over one lane providing a buffer lane of safty. If it is not safe for a driver to do so, drivers must slow down 20 mph below the posted speed limit. If the speed limit of the road is 20 mph or less, drivers are required to slow down to 5 mph. According to the Florida Department of Highway Safety and Motor Vehicles in 2016 there were more than 200 crashes and over 5,000 citations written because of people not abiding by the Move Over law. That’s right, if you do not obey the law, you can get pulled over and given a ticket. The citation is based on the speed you are going and comes with a hefty fine and 3 points on your license. So avoid all of that mess and help to keep those who work for us and keep us safe, safe! 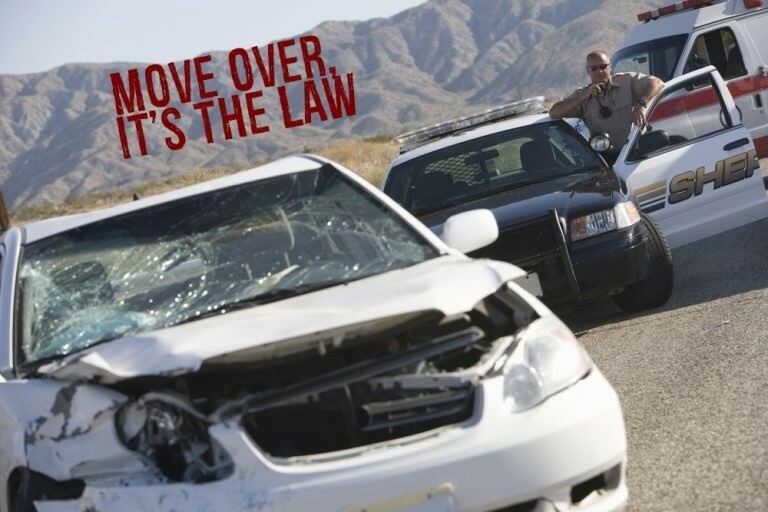 You can learn more about the specifics of the law here and you can also check out Florida’s Move Over Law Facebook page here. Apart from following the law, you can help your safety and law officials by sharing this information via social media and word of mouth. Celebrate Move Over January and spread awareness with us! 0 comment(s) so far on It’s January – Spread the Word of the Move Over Law!